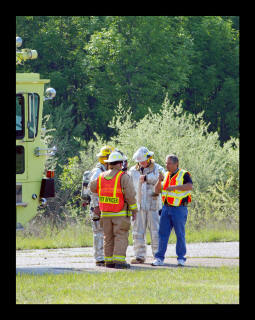 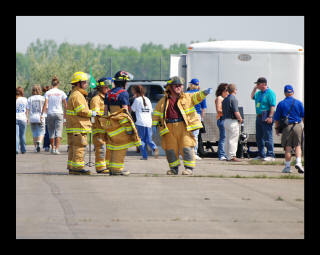 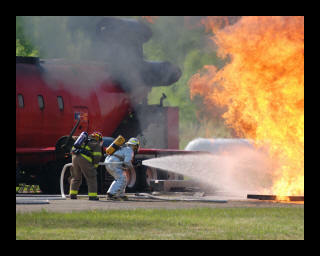 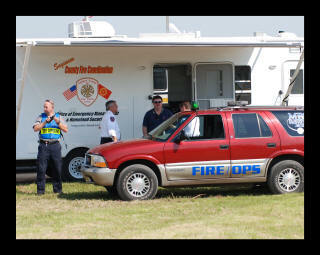 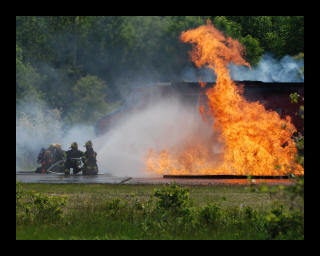 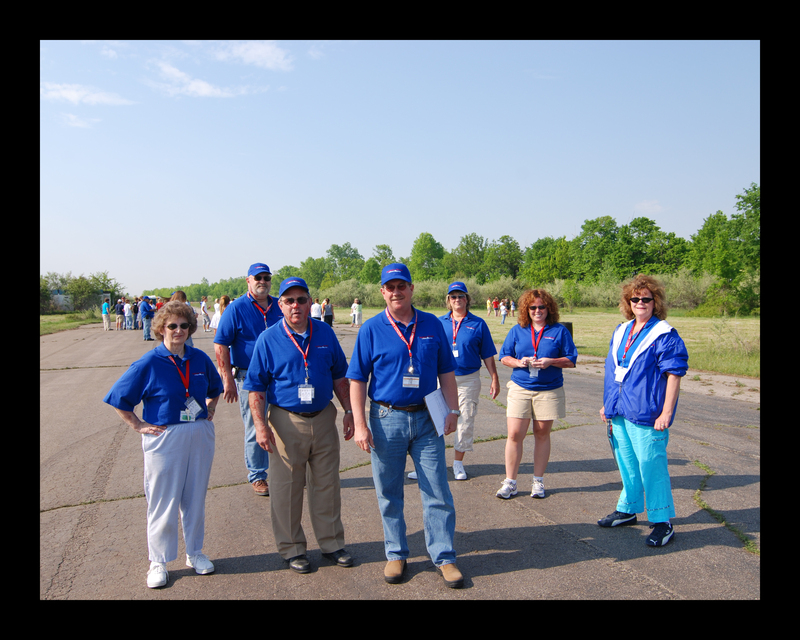 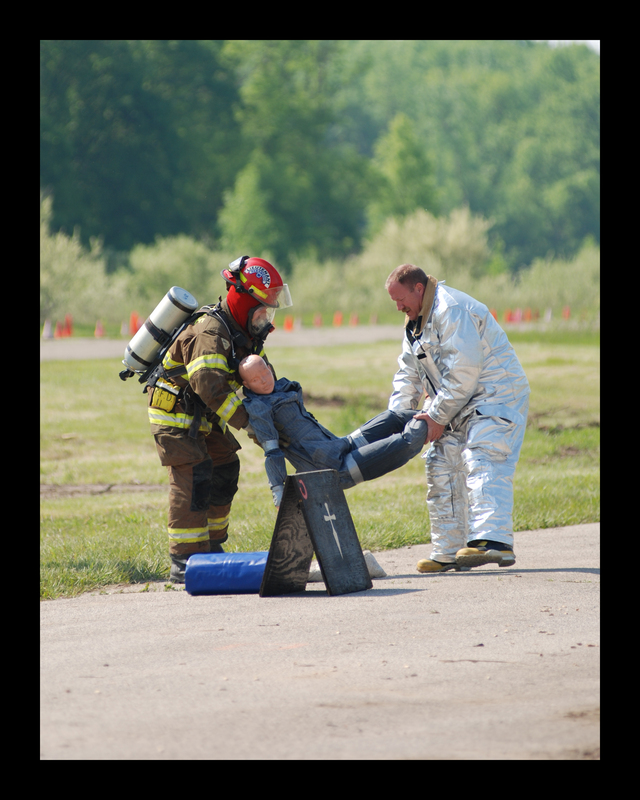 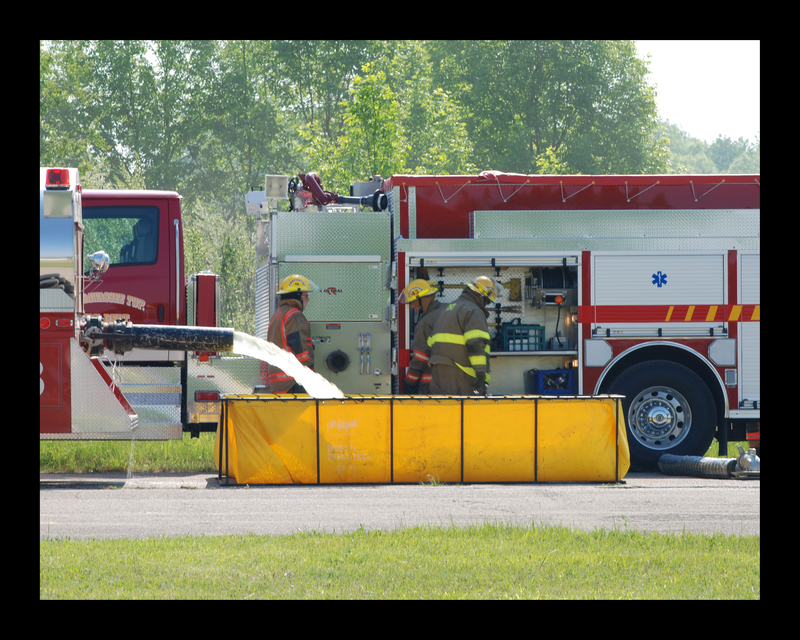 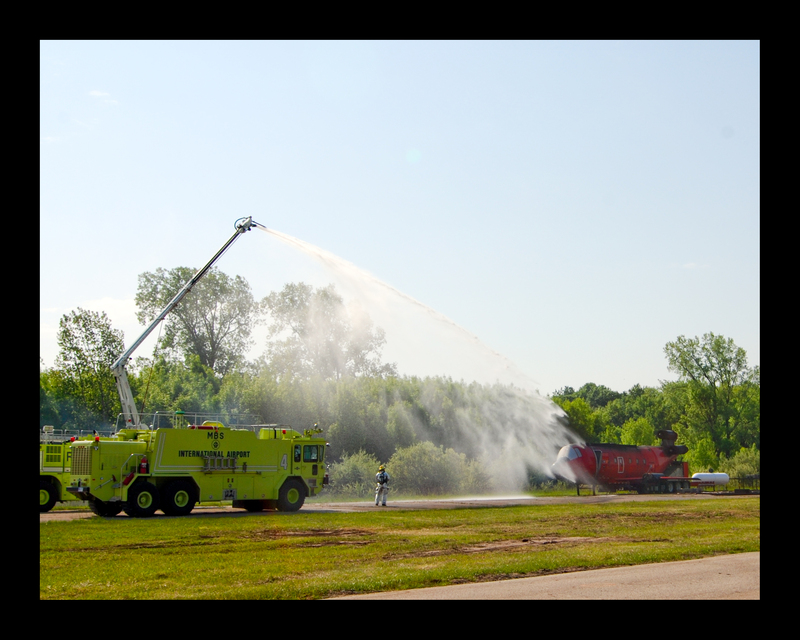 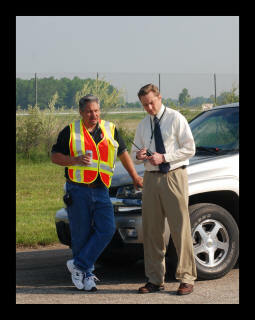 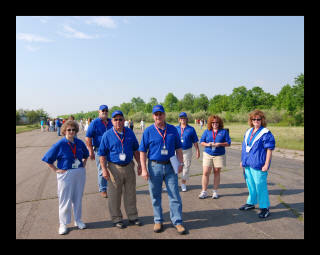 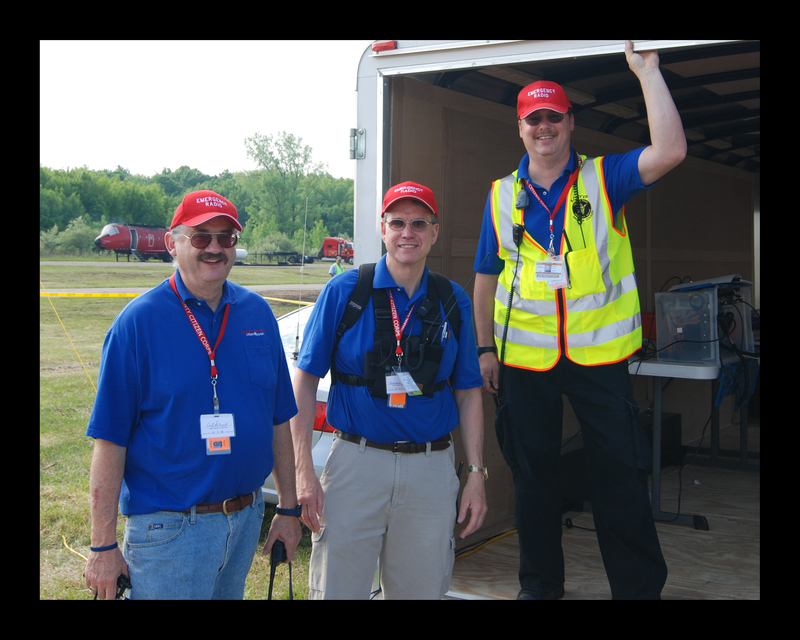 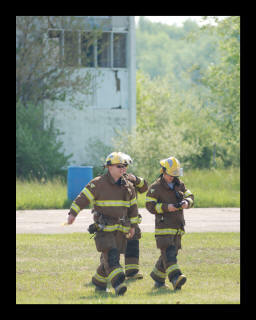 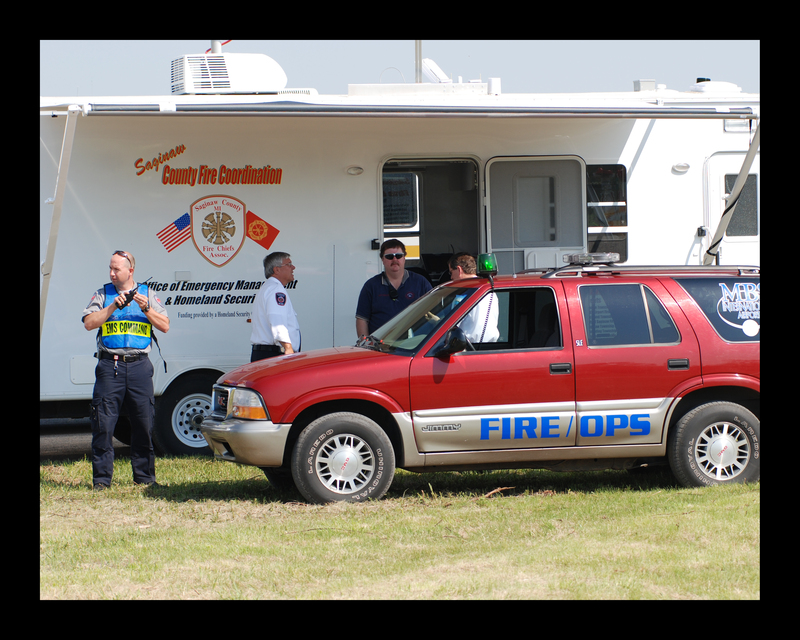 The 2007 Saginaw County Simulated Emergency was held at the MBS airport in Freeland at the old Tri City Drag Strip. 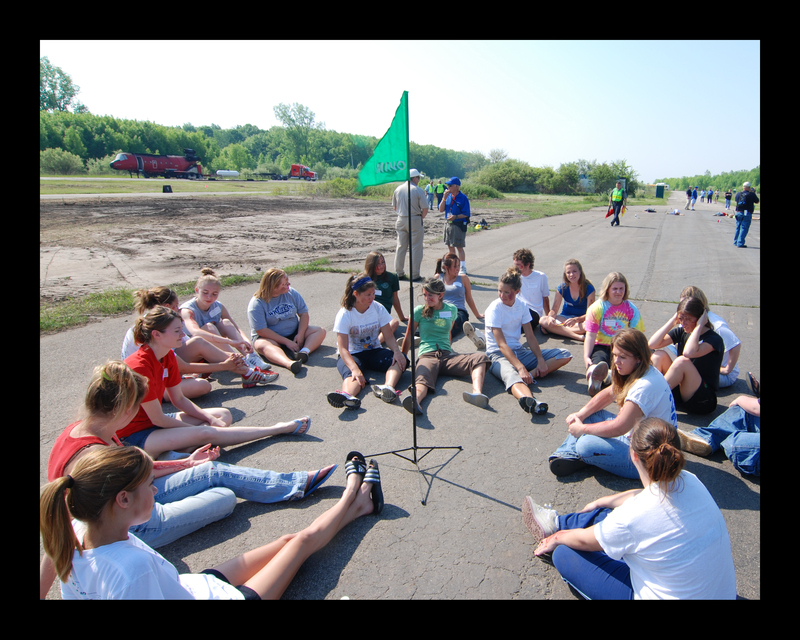 Students were bussed in from Hemlock, Merrill, St. Charles, and Swan Valley to participate as simulated victims. Firefighters from the surrounding counties came to practice firefighting and rescue techniques on airplanes. The center of the event was a special airplane fuselage that would produce real fire for some simulations and theatrical smoke for others. Emergency crews also sorted the simulated victims into groups based on the criticalness of their injuries. 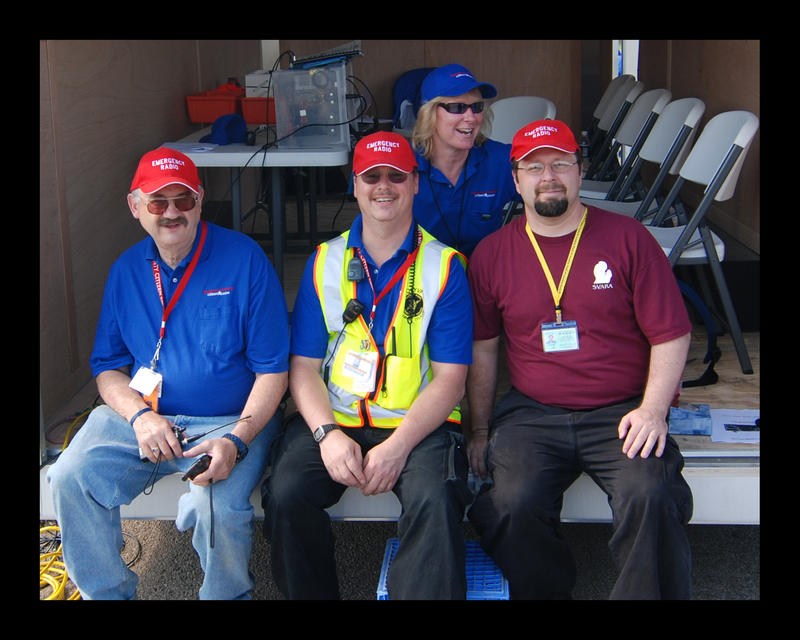 After the event, the Red Cross served lunch and the students were bussed home. 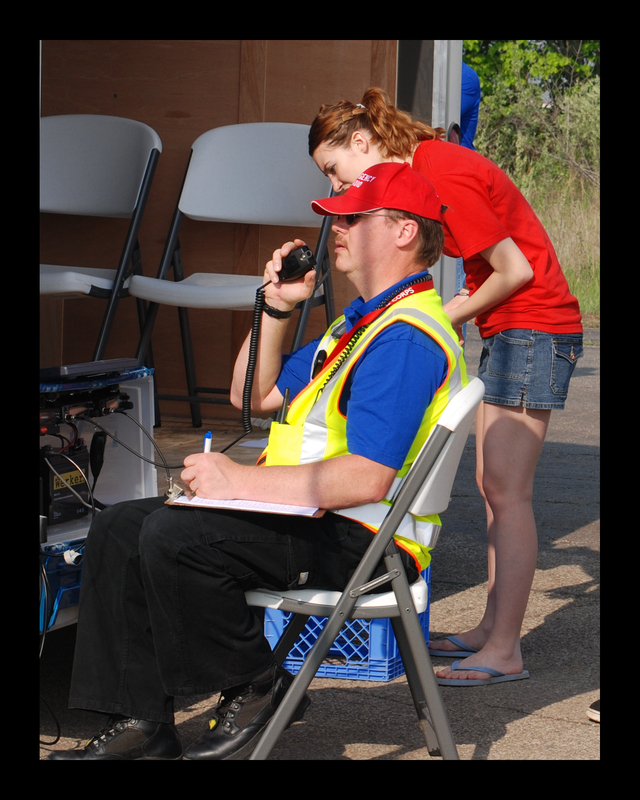 Amateur Radio operators lent support to the transportation of the students and communications with the hospitals.